Dr. Susan L. Royer's dental office is located on Lincoln Highway (Route 30) in Crown Point, IN . 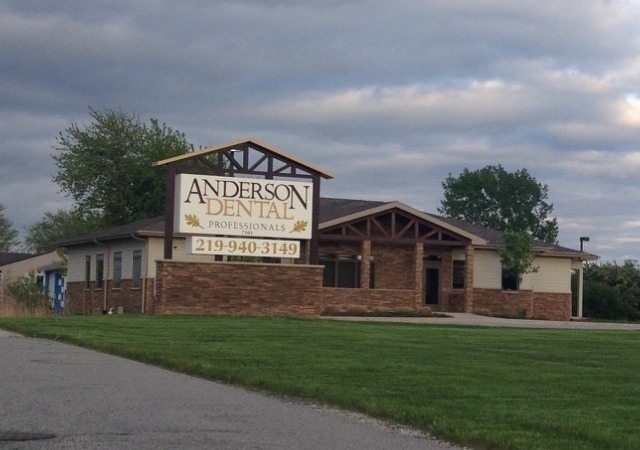 We are in the Anderson Dental Professionals Building near Eastlake Baptist Church, between Randolph Street and Route 51. We are no longer in the Winfield office. Please call if you need directions or visit our contact page. Dr. Susan L. Royer and staff look forward to meeting you in our Crown Point dental office. We can be reached by phone, email, or Facebook. Convenient daytime or evening appointment times are available to accommodate your busy schedule. Emergency appointments are welcome, especially for new patients seeking help. Once you make an appointment, please print your registration forms and bring the completed forms to your appointment. Our experienced office staff will verify your insurance benefits prior to your treatment so please have your card available when scheduling and bring it with you to your appointment. Each insurance plan is different based on the choices your employer has made regarding your treatment coverage so it is also helpful if you are familiar with your policy. If you are in need of financing our office is a participating member with CareCredit. CareCredit offers no interest financing for dental procedures with no up front costs and no prepayment penalties. We can help you apply in the office or you can submit an application on the CareCredit website and receive an immediate response. For your convenience we also accept cash, check, Visa, Mastercard, and Discover. We are proud to announce that Dr. Royer is now a Delta Dental Premier, Medicaid, and Healthy Indiana Plan (HIP) provider in the Crown Point office! We also accept all other traditional dental plans. If you are unable to keep an appointment, we ask that you kindly provide us with at least 48 hours notice. When you make an appointment with Dr. Royer, we are reserving a specific amount of time just for you. We ask for this notice so that we may offer your appointment time to someone else who may need it. A fee may be charged if a patient does not show up for an appointment or cancels without sufficient notice. We would like to take this opportunity to thank you for choosing Dr. Susan L. Royer for your dental care.